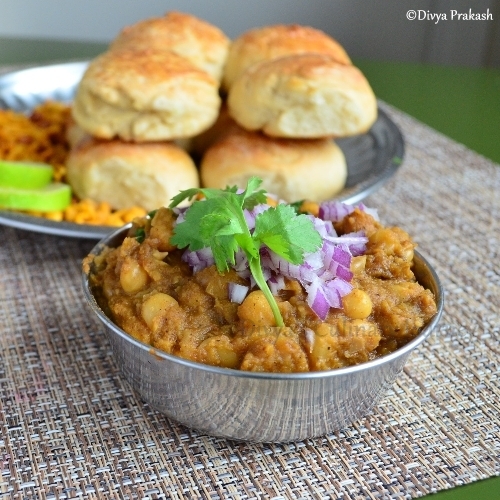 Today's recipe is Misal Pav. It is a street food from Maharashtra. Misal means mixture. 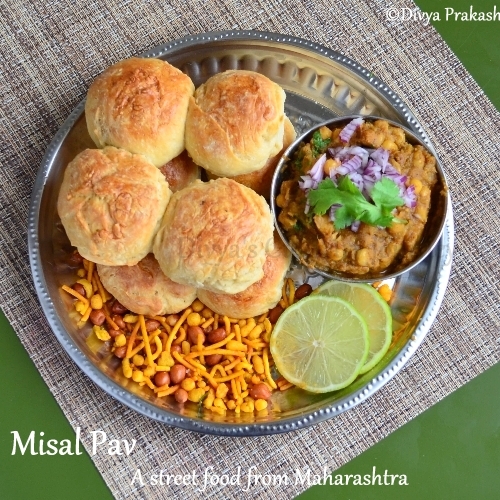 It is actually the usal topped with farsan, chopped onions, lemon and served with pav buns. 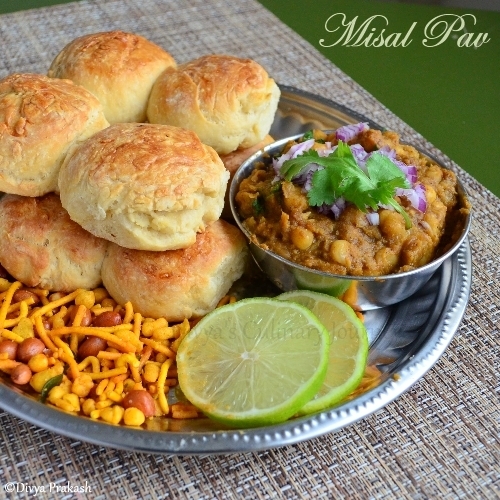 I tried my attempt in making home made pav buns, but they didn't turn out as expected, but the Misal was so easy to make and delicious, it almost covered the flaws in the buns. I tried these for the South vs North Challenge started by Divya Pramil.There are two teams- South and North. A representative from South chooses a challenging recipe for the north team while the representative from North chooses for South team. This month Meena Bhatia of Random Ramblings selected Misal Pav for the South Team while Sherin Deepu from Kuk's Kitchen selected Medhu Vada for the North Team. If you want to know more about this challenge or want to be a part of this, please contact Divya Pramil here. Red onions (Medium size), 2 nos. Soak the white peas over night or at least for 6-8 hours, then pressure cook it, but take care not to make it mushy. Heat oil in a skillet, add onions and green chillies and fry them till onions turn translucent. Then add the tomatoes and ginger garlic paste and cook till they turn soft and mushy. Finally add the grated coconut and cook for 3 minutes and turn off the heat. Let it cool and then grind it to fine paste. Heat oil in a heavy bottomed pan, add cumin seeds and when they crack, add the ground paste, then all the powders one by one (coriander, chilli, turmeric, garam masala and amchoor) and cook till the raw smell disappears. Then add the pressure cooked peas, add the required salt and add water to get the required consistency of gravy. Then turn off the heat. The Usal gravy is ready. Top the usal gravy with farsan, chopped red onions, cilantro and also some lemon slices and serve with pav buns. Misal Pav is ready. Instead of white peas, moth beans or even mixed sprouts can be used. The spices can be adjusted to personal taste. Farsan refers to a mixture of fried ingredients like boondhi, omapodi, cornflakes, peanuts, rice flakes etc., So I just used a South Indian Mixture which I got from local Indian store. 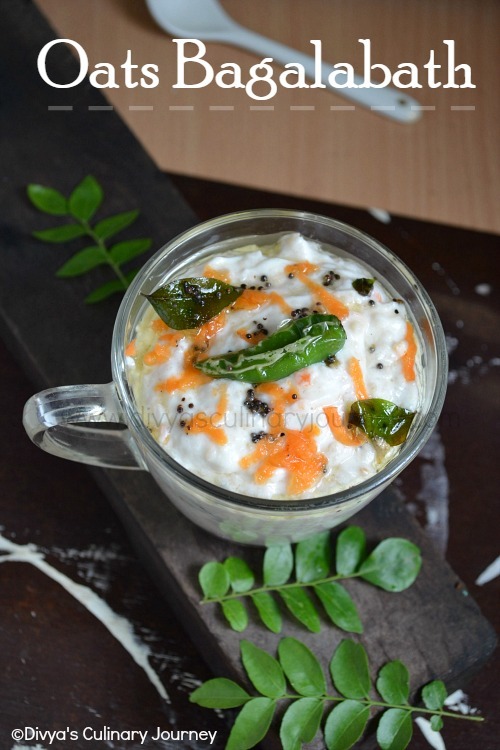 Top the farsan only right before serving, otherwise it becomes soggy. awesome pics dear :) love your misal n home made pavs..
Misal pav looks delicious dear...luvly clicks too. Delicious Misal pav Divya you did very well. Very tempting, Divya. Thanks for sharing. Misal pav looks very delicious dear. Nice snap. looks delicious..loved your version of pea usal..
wow...its a super street snack of india..nice 1..Happy new year dear. happy new year to you and your family dear :) tempting misal pav..
Tasty misal pav. Looks great. Happy New Year.